Sweetwaters is a Burlington landmark that’s still making its mark. Built in 1880’s, housed in what was the original site of the Burlington Trust Company, the building retains its original moulding, cornerstone, clock, and architectural appointments. In the 1950’s the Burlington Trust Company merged with another area bank, vacating its Church Street location. The next occupant of the Sweetwaters’ site was Miles & Reilly, one of Burlington’s most respected men’s clothiers in the ‘50s. After Miles & Reilly, the site became the location of the famous Kennedy Brothers’ Woodenware Company. They manufactured and sold Vermont’s prized maple bowls and other household woodenwares right in this space. 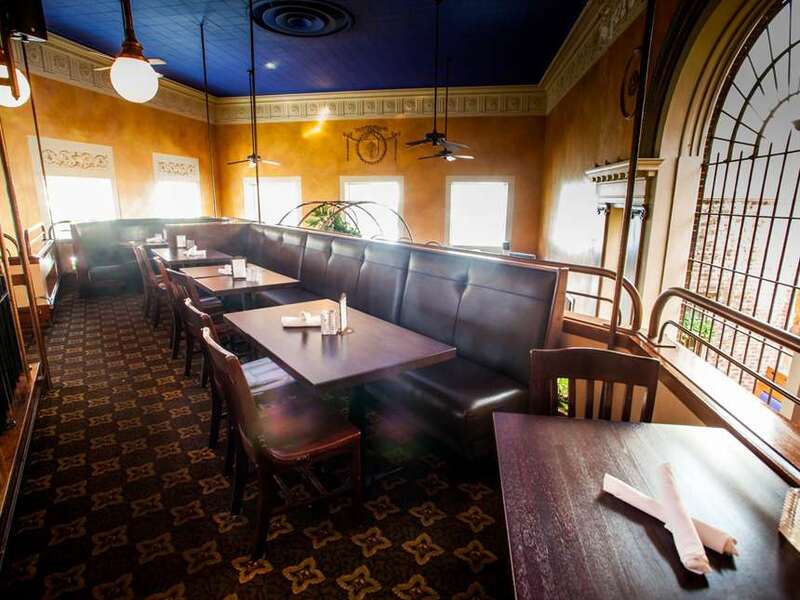 In 1981, a local restaurateur leased the building and undertook major renovations to turn the space into Sweetwaters. This was no easy endeavor, however, as the site had fallen into disrepair. Plaster hung from walls, wiring needed replacement, and the stately building badly needed a facelift to restore it to its former grandeur. 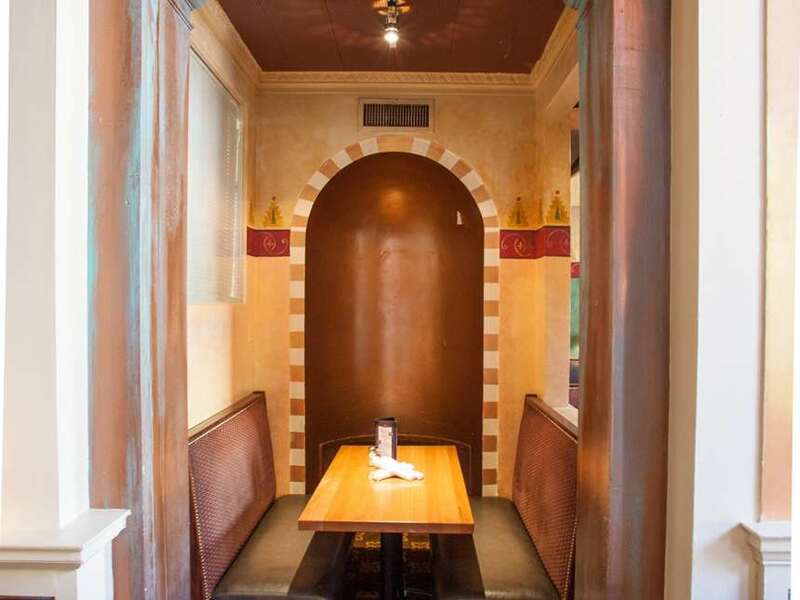 Former bank vaults have since been converted into walk-in coolers in the lowest level of the restaurant. The original door, gilded with the Burlington Trust Company’s name, has been incorporated into the new design and can now be found between the ladies’ and men’s rooms downstairs. 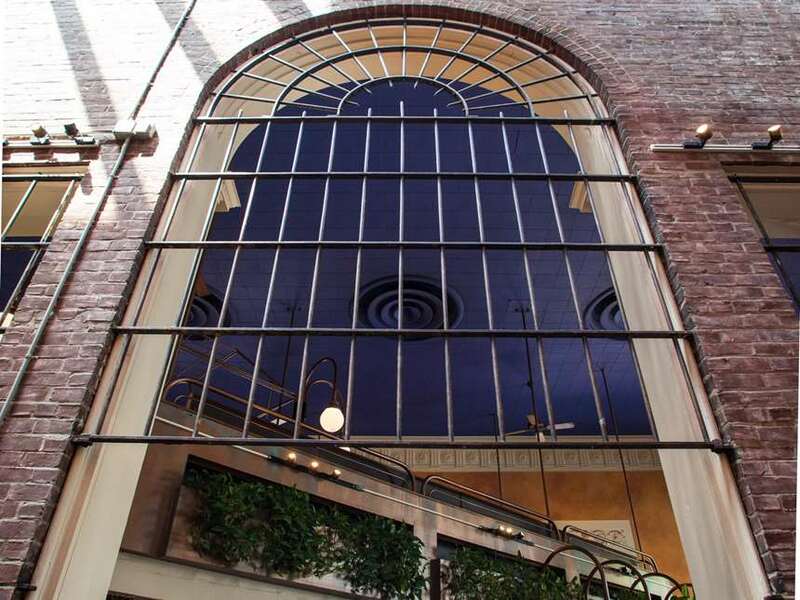 On the main floor of the restaurant, the original iron bank security grates can be seen above the entrance to the atrium. Security grates have been left on all windows that were originally on the exterior of the building. The atrium, originally an alleyway, has been enclosed. 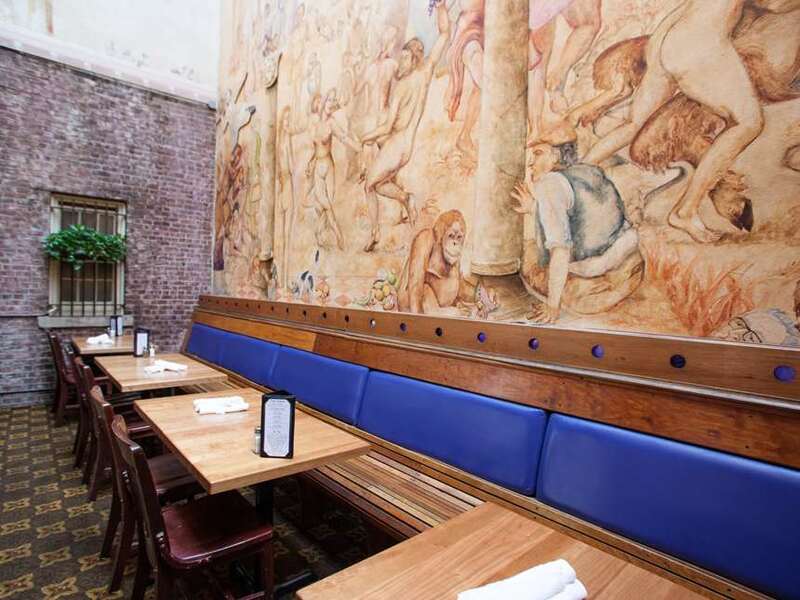 The interior wall of the restaurant has been covered with a two-story mural designed and painted by a local artist. The mural is a depiction of life on Church Street in the early 1980’s, and includes faces of many local dignitaries and residents of the Burlington areas at the time. Another renovation was the addition of the balcony dining area. 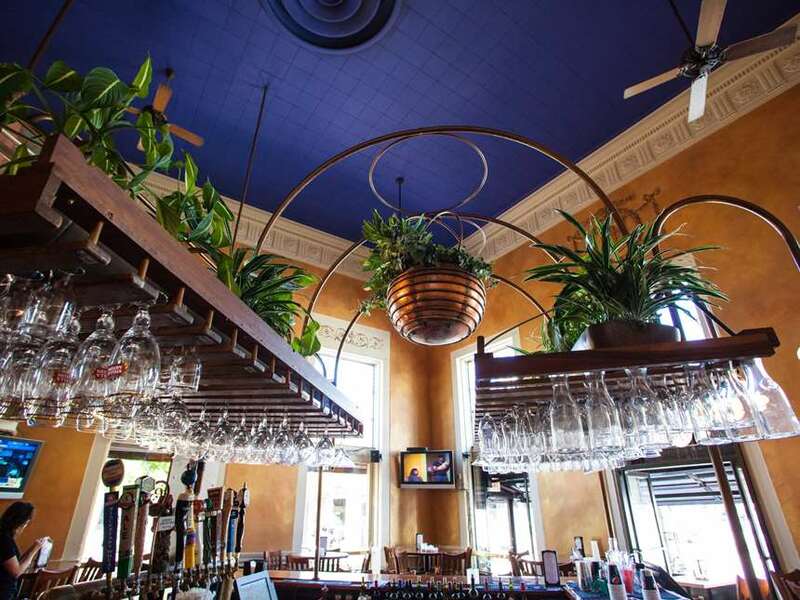 The large round copper pots that grace the ceilings came from a candy factory in Pennsylvania and were originally used for coating candies. Two outdoor patios completed the renovations, and Sweetwaters opened in the fall of 1981. Since opening, the College Street Patio has been enclosed to create patio dining year-round. In 2004, the lower block of Church Street was bricked over and closed to vehicles. 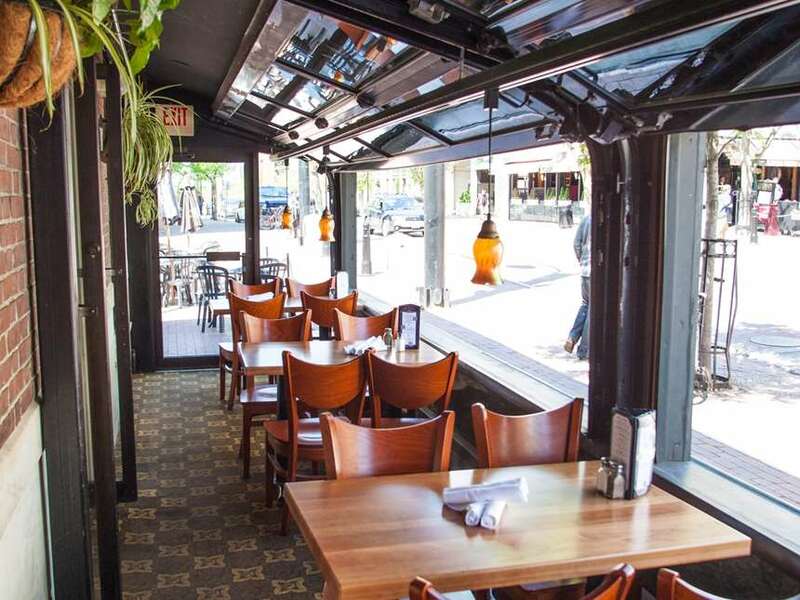 Sweetwaters led the way in petitioning the city to allow restaurants to have outdoor table seating during the summer months; now a hallmark of Church Street. The restaurant continues to evolve, articulating the creativity and commitment to the local community that has been a foundation of our restaurant since we first opened our doors. Sweetwaters’ menu changes four times a year — a reflection of our commitment to using high quality, locally raised and produced products that are in season. We know our customers want to eat delicious meals that are good for their health, their local economy, and their environment, which is why we’re committed to fresh, seasonal products.